The compact sedan first knocked into the American market somewhere in 2013. 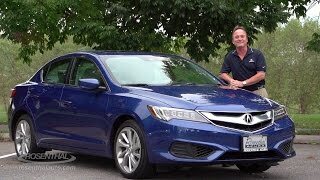 The Acura ILX is said to be the first compact car from company since the RSX, now what is to be seen is will it stand at the same strand today also? Anticipations say it will but let us not hurry and decide after going through it review. 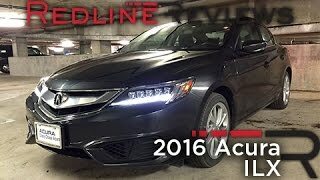 So here confined in a few scrolls we present to you the descriptive review briefing the interior, exterior and performance stats of the Acura ILX 2016. The first coming to your visual notice in the interior of Acura ILX 2016 is the contrast stitching work for parking brake handle, steering wheel and shift knob. Also to the queue comes the passenger side of dashboard with silver trim. 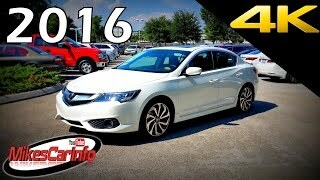 Apart from these the Acura ILX comes with series of new features with A-SPEC package. Four way passenger seat, two-position driver’s seat memory function and Acura’s On-Demand Multi Use Display with dual screens’ the upper eight inch display screen and lower being seven inch touch screen. The Premium black interior with grey stitching, aluminum pedals and red illuminated instrument panel also brings some of the safety feature like Blind Spot Information and yes to be mentioned the most important the AcuraWatch. The AcuraWatch package brings with it Adaptive Cruise Control, Lane Keeping Assist System, Road Departure Mitigation etc. In all we would say the Interior of Acura ILX 2016 is more of a technological safety oriented with lesser visual upgrades. We at our end consider the point as a positive one. 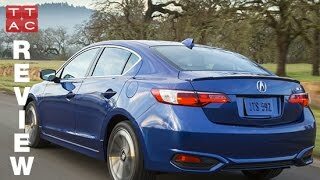 The Exterior of Acura ILX 2016 comes with modified front and rear fascia. Talking firstly about the front fascia of ILX 2016, the aggressive front grille accompanied by five-point LED headlamps and revised turn signals together give it a good show. Apart work was also noticed in the air intakes and apron. Now switching the coin over towards the rear fascia of ILX 2016, LED taillights get an edgy look, with additional housing added in the lower apron. Adding to its extensive looks are the 17” aluminum alloy wheels. Apart through the A-SPEC package model gets sportier look with its trunk-lid spoiler and fog lamps. The Acura ILX 2016 gets its robust power through a 2.4 liter inline 4 engine, distributing the summed up power of 201 hp and 244 nm torque mated to eight-speed dual clutch transmission. 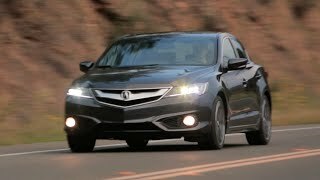 Looking at the specifications of engine it is anticipated that the ILX 2016 is capable of reaching top speed of 138 mph. Talking about the price of Acura ILX 2016, the range begins with $27,900 and ends at $34,890. However for each of the model mpg remains same the difference comes due to the additional packages offers in each of the shared models.